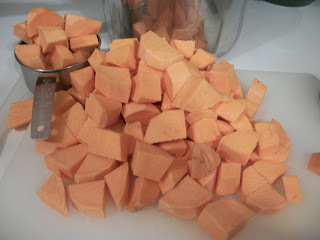 Start by peeling and roughly chopping the sweet potatoes - I usually use 3 large ones to get to the 4 1/2 cups required. for about 2-3 minutes, then add the onion. Cook and stir for several minutes til the onions soften, then coat the sausage and onions with the flour. Cook and stir until the flour is blended in, then gradually add the chicken broth. 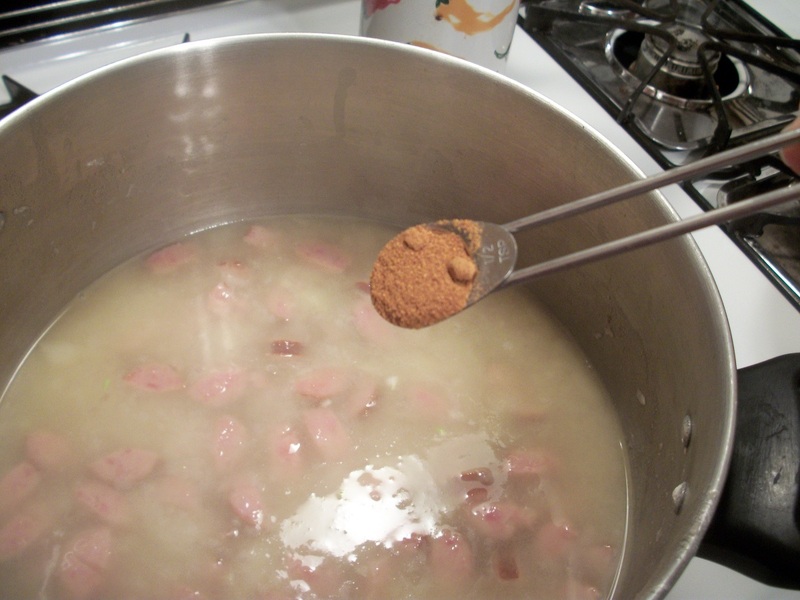 Bring this to a light rolling boil as you stir, then add salt and pepper, and the cayenne. Now drain the potatoes, and mash. and stir well to ensure a smooth soup - break up any big "globs" of mashed sweet potato. 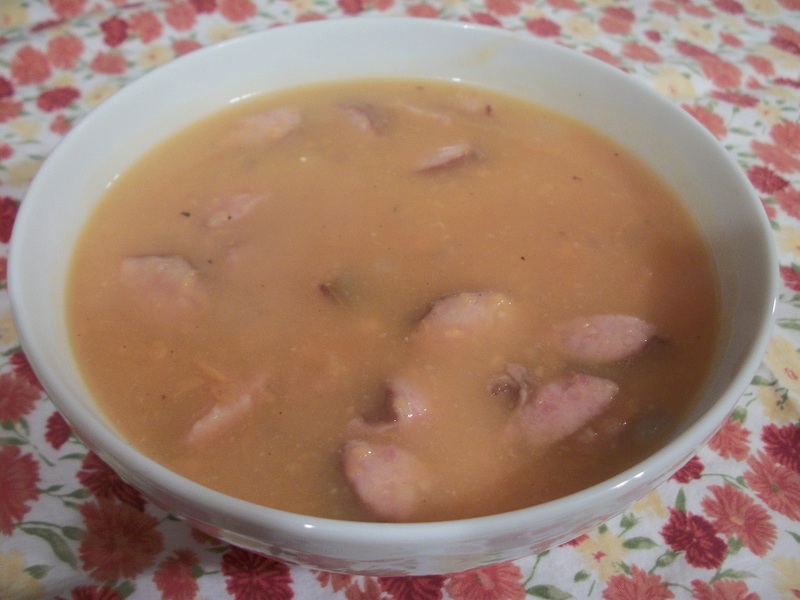 This soup will warm you up on a chilly day! Enjoy with a tall glass of milk to help tame the bite. Get more recipes at Cooking Thursday, Foodie Friday, Food on Fridays and Friday Food, Food on Fridays - Soup, Ingredient Spotlight. Place potatoes in a saucepan and cover with water. 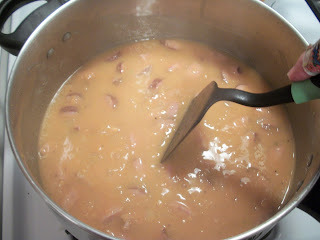 Cover, and bring to a boil over medium high heat. Reduce heat and simmer for 10 minutes or until very tender. 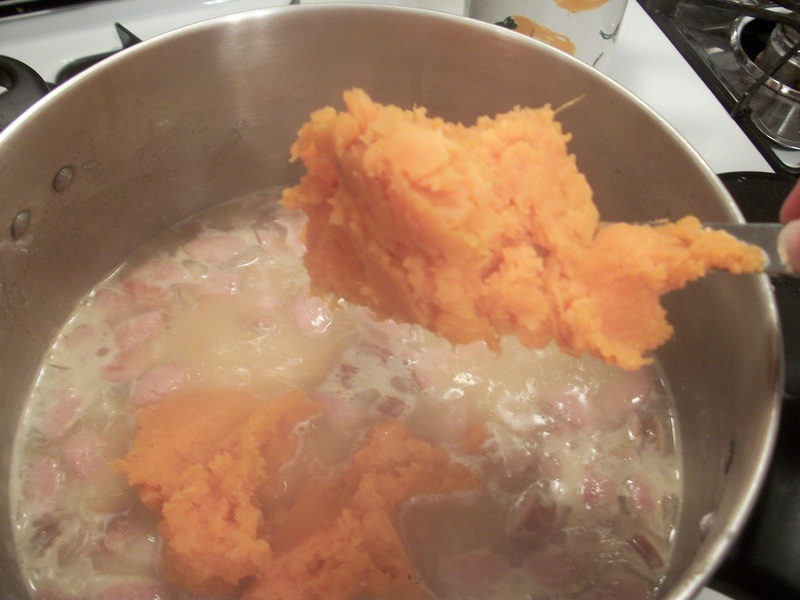 Drain and mash. 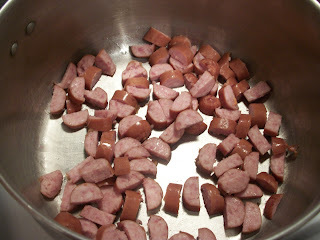 In a Dutch oven, saute sausage for 2 minutes. 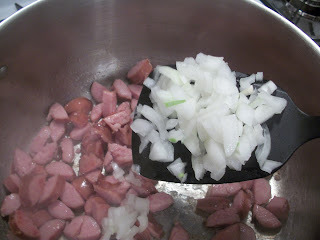 Add onion and cook until onion is soft and sausage is lightly browned. 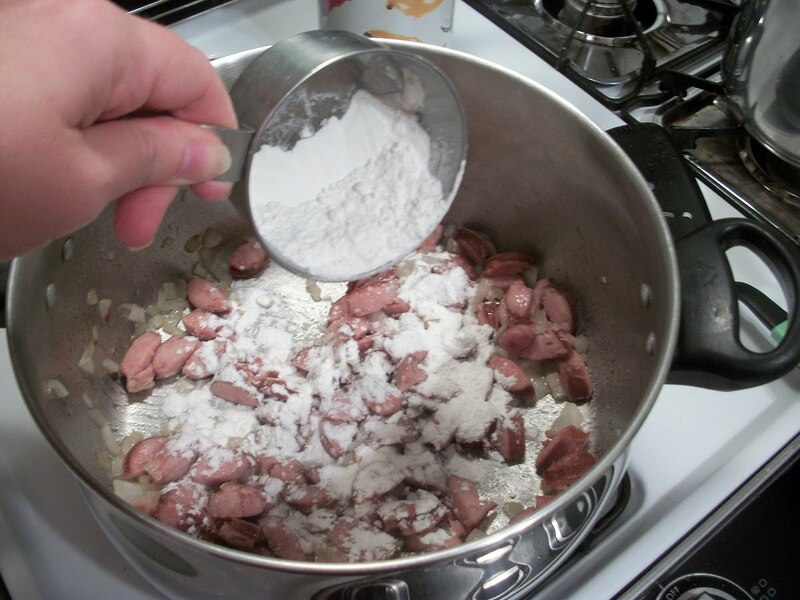 Add flour and stir until meat and onions are coated. 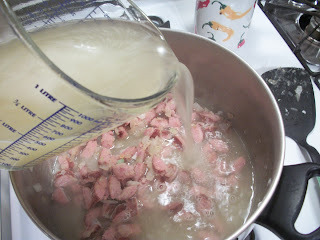 Gradually add chicken broth and bring to a light rolling boil, stirring often. 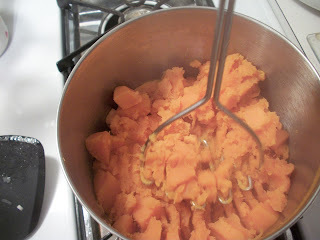 Add the salt, pepper and cayenne; add the sweet potatoes and stir well to incorporate. Serves 4-5. Note: these are meals that freeze well - most muffins, quickbreads and bundt/pound cakes featured on this blog also freeze well. They are tagged "freezer friendly" and you can find them from the labels list. This is a list of main meals that do well in the freezer.